Where Your Imagination Can Really Jump Off the Page! Watch your doodles come alive with this 3-D kit! 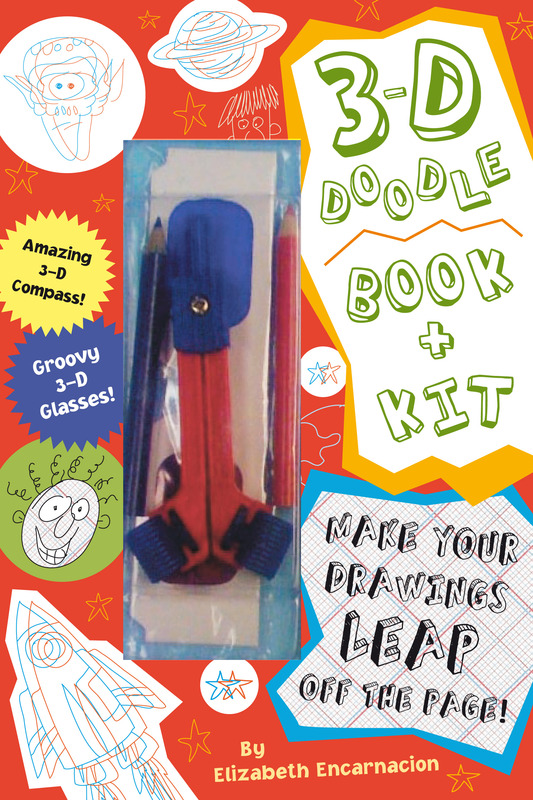 Make your doodles leap off the page with this amazing 3-D Doodle Book & Kit! Packaged with a special 3-D doodling compass, red & blue pencils, and a pair of 3-D glasses, the 80-page book shows you how to use these tools to draw and view your very own 3-D images. The 3-D Doodle Book features a brief history of doodles, an explanation of how 3-D glasses work, and instructions for using your 3-D compass and colored pencils to create 3-D images. But the majority of the book is an interactive sketchbook with more than 60 pages printed with 3-D scenes for you to finish, black line drawings that will give your 3-D doodles more depth, and 3-D background grids that will create a floating 3-D effect even when you draw on them with a regular black pen! A concealed spiral binding allows you to lay the book flat as you create your unique informal artwork. Why just doodle when you can doodle in 3-D?